Schizophrenia is a highly variable, multifactorial mental disorder producing a spectrum of symptoms ranging from odd but harmless behavioral abnormalities to full psychosis. The concept of biochemical individuality is therefore of particular importance within integrative approaches to treatment of this unique illness. This five-module course incorporates the theories of orthomolecular medicine into nutritional psychiatry, presenting decades of supportive research evidence. In addition to vitamin deficiencies, multiple contributors to inflammation are implicated in the etiology of schizophrenia and addressed in a comprehensive, integrative treatment plan for use in clinical practice. This beginner-intermediate course is intended for: Psychiatrists, family physicians, nurse practitioners, nurses, social workers, psychologists, and other mental health professionals. 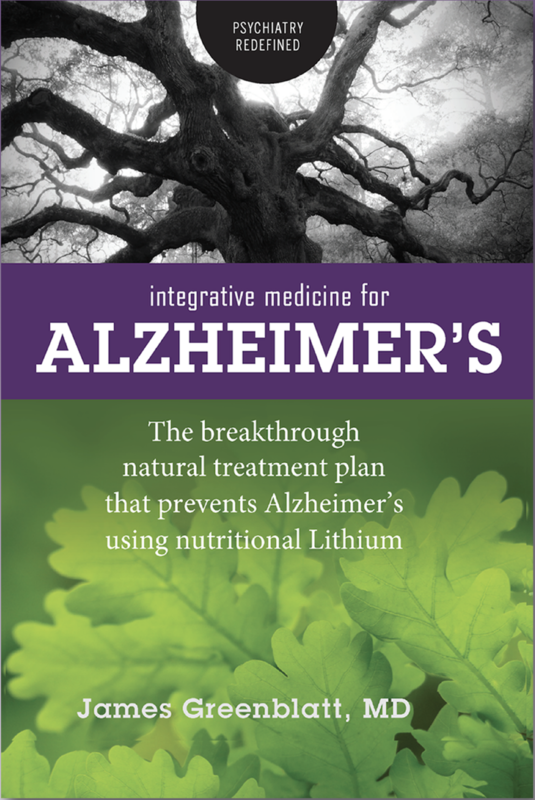 In this webinar, Dr. Greenblatt, a leading integrative psychiatrist, presents a simple and an effective approach to the prevention and treatment of Alzheimer’s, delivering a wealth of scientific support for the clinical use of nutritional lithium. This course presents a comprehensive assessment including a nutritional, biochemical, and metabolic profile for clients with ADHD. Will also help you identify evidence-based strategies to minimize the side effects of ADHD medications. An eating disorder that can inflict serious health problems and even death, Anorexia Nervosa strikes adolescents, women, and men from any walk of life. Conventional strategies for treating this debilitating disease, such as anti-depressant medications, are narrowly focused and rarely provide long-term benefits. 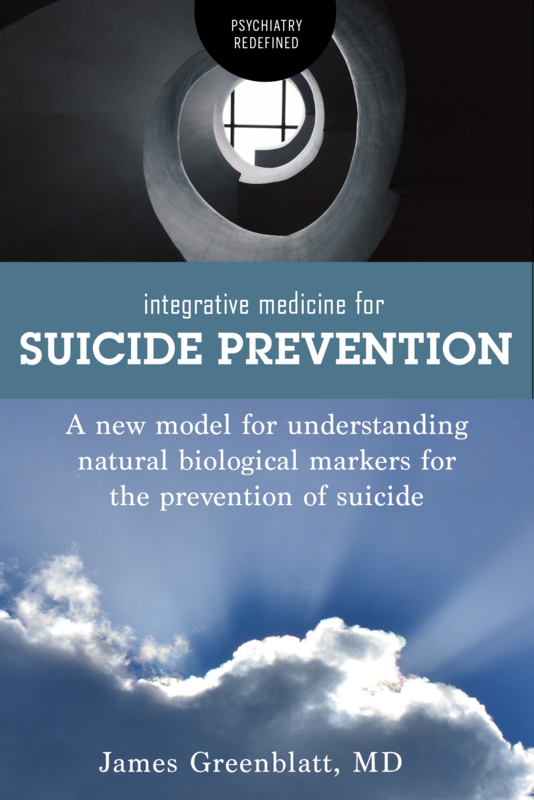 As mainstream medicine continues to ignore the obvious relationship between nutrition and mental health, this book delivers life-saving information. Emerging research shows that because Anorexia is a complex disease rooted in the mind, and the brain is highly sensitive to the nutrition it receives, the correction of nutrient deficits is the key to successful and lasting recovery from Anorexia. 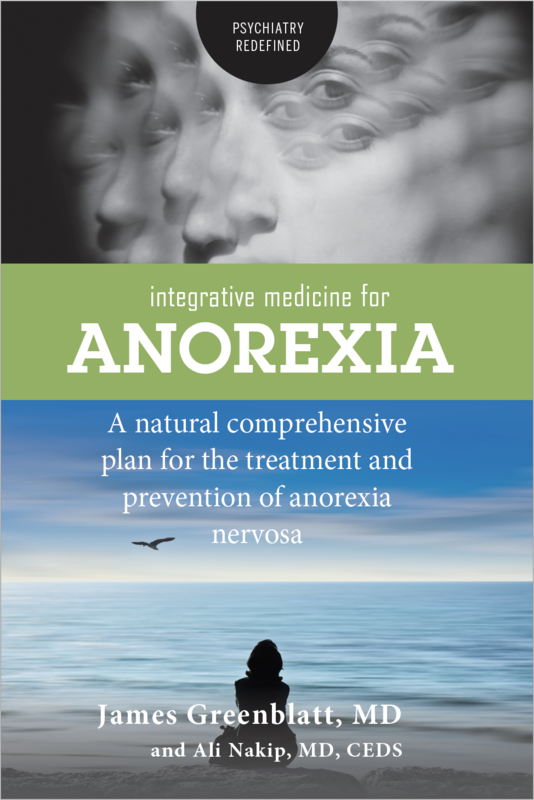 Written by leading integrative psychiatrist and eating disorder expert Dr. James M. Greenblatt, Integrative Medicine for Anorexia is founded on solid research evidence that nutritional deficiencies play significant roles in the development and treatment of Anorexia. This book provides a comprehensive, integrative medical plan for nourishing the brain. The mainstay of treatment for schizophrenia and psychosis are antipsychotic medications which are minimally effective for reducing certain symptoms; even with these medications, relapse rates are high and the vast majority of patients rarely return to normal life. Integrative Therapies for Schizophrenia, by leading integrative psychiatrist Dr. James Greenblatt, provides a unique and revolutionary perspective challenging the current treatment model. This book outlines an integrative medicine perspective based on nutritional biochemistry that addresses underlying metabolic and nutritional factors which contribute to the onset of psychosis. Research spanning decades will be reviewed and analyzed to help patients and their families, as well as practitioners, understand this integrative approach to schizophrenia. Groundbreaking research conducted around the world over the past ten years has identified nutritional deficiencies that can be corrected, effectively augmenting current pharmacological treatment models. 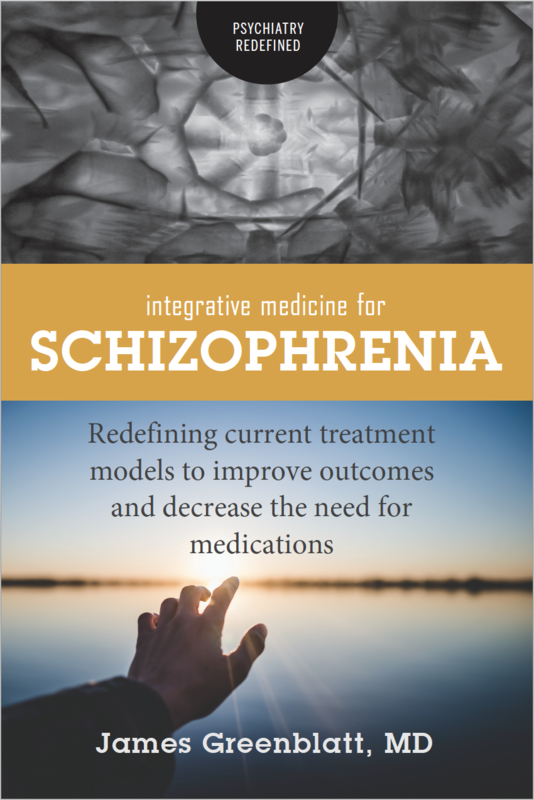 Integrative Therapies for Schizophrenia offers hope for patients and families that a diagnosis of schizophrenia need not prevent them from functioning, working, and having a fulfilling life. Every year an estimated seventy-two miilion Americans diet, financing a weightloss industry worth approximately fifty-five billion dollars. Despite the vast efforts put into weight loss, two-thirds of American adults remain either obese of overweight. Clearly dieting doesn’t work, and failed attempts to lose weight encourage the development of disordered eating behavior. Many of those struggling with disordered appetite compare it to being trapped on a roller-coaster ride. The feeling of the roller-coaster ride of restricting, bingeing, and chronic self-blame is never-ending. You crave, you eat, you binge. That momentary sense of calm and peace is once again overshadowed by shame and guilt. In Integrated Medicine for Binge Eating, respected psychiatrist and eating disorder expert Dr. James Greenblatt explains how appetite is controlled by the brain’s neurochemical systems, which rely on specific proteins for optimal functioning. 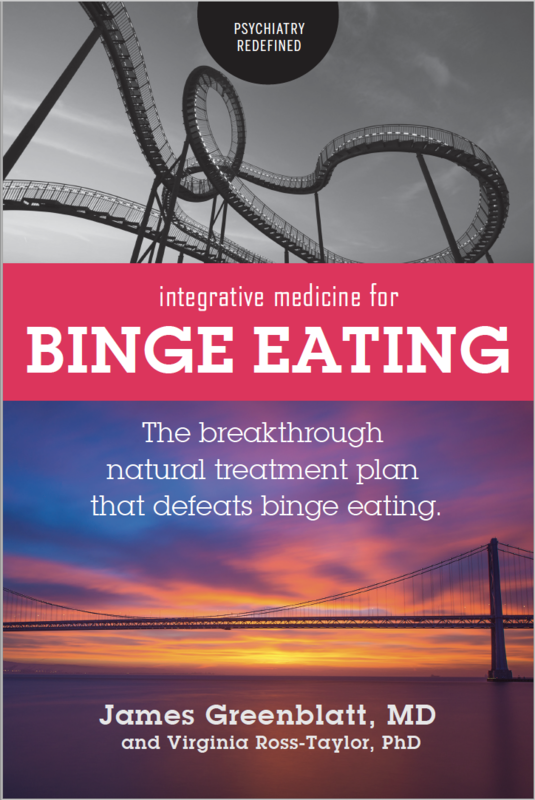 The New Hope model described in this book combines the best in traditional and complementary approaches for recovery from binge eating and food addiction. While dieting provides a temporary fix, this book will offer a permenent solution based on scientific research to help you reclaim a healthy appetite with food, and get off the roller-coaster of food addiction.